Get Your Email List a Clean Bill of Health. Do you really need to clean your email list before your next campaign? Is it really that urgent? If you’re uncertain about your list quality, it’s a no-brainer. This quote from Paradot says it all. What makes a list unqualified? It’s more than purchased lists versus organic lists. Even lists collected legitimately decay over time. Every campaign that you run with a dirty list damages your reputation and drains your wallet. 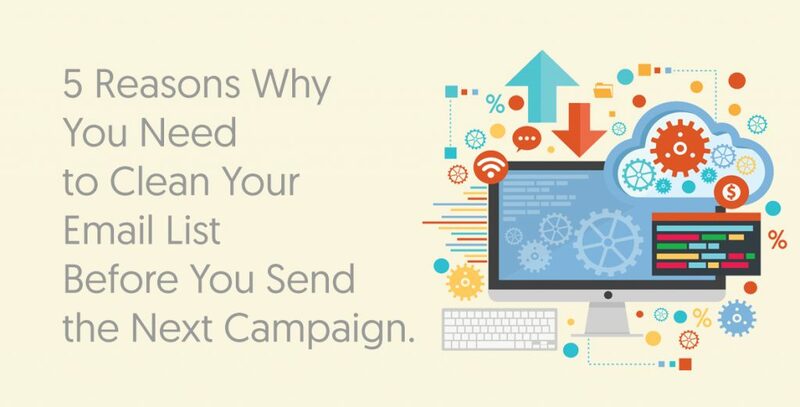 Here are five reasons why you need to clean your email list before you run your next campaign. 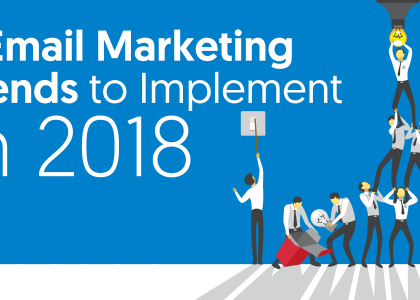 Are you thinking about bringing back last year’s email list? According to this stat, 25% of it is unclean. And what if you’re sending to a list collected five years ago. Good luck! The ISPs are watching you all the time, just like Santa Claus. They’re observing you, seeing how people engage with your emails. According to Return Path, an engaged list is what the ISPs like to see. Basically, emailing spam traps, unresponsive users, and complainers will ruin your sender score. The ISPs will start putting you in the promotions tab or the junk folder. Here’s the rub. They aren’t only putting you in the junk folder of the bad email addresses: the spam traps, unresponsive users, and complainers. They will put you in the promotions tab and the junk folder of legitimate prospects, potentially even people that love your email. If you send to a lot bad email addresses, you may even be blacklisted. Sending email to bad addresses is costly for your reputation. That’s why list cleaning is essential. Sending emails is a lot cheaper than sending snail mail. That being said, the more people on your list, the more money it costs. Let’s take a look at the pricing plans of two leading ESPs, Mailchimp and Aweber. Both of these companies charges you money based off your subscribers. For unlimited emails, Mailchimp charges $10 for 0-500 subscribers, $15 for 501-1,000 subscribers, $20 for 1,001 to 1,500 subscribers, and so on. On the other hand, Aweber charges $19 a month for 0-500 subscribers, $29 a month for 501-2500 subscribers, and $49 a month for 2501 to 5000 subscribers. These pricing schemes display why list cleaning is such a valuable investment. Cleaning your list will remove complainers, inactive users, and other people who generate zero revenue for your business. At the same time, it makes your list smaller, moving you downward into a lower pricing plan. The cost of bad data is a real phenomenon, and according to Clickmail, the majority of companies are wasting their marketing budget. As you can see, most companies are wasting their marketing budgets. Choose the path less traveled. List cleaning makes your monthly ESP bill lower, and that’s a great thing. Cleaning your email list allows you to separate your list into engaged contacts and unengaged contacts. That’s a wonderful thing. You don’t want to regularly send to inactive email accounts. However, you do want to categorize and monitor your inactives. This is important. Proper re-engagement with these people can make you money. Think back to the reason why email lists decay. It’s not all about you. Sometimes people switch jobs or get a new email. Maybe they forgot to bring you over to their new email address. What’s a marketer like you to do? There’s no use pounding away at that old email address. They probably don’t check it anymore. It could even be converted into a spam trap. However, you have the name of your old prospects and other data besides that. You can do some research, a quick Google search. Perhaps you’ll find them on social media. You can casually reach out there. Additionally, cleaning your list lets you separate disengaged users from inactive email accounts. In regards to the former group, you can send them re-engagement offers, such as a discount coupon or “we want you back” message. Your re-engagement campaigns will have a higher success rate if you aren’t sending to spam traps, complainers, and other bad addresses. Using data efficiently is the key to good email marketing. One of the best ways to use data is to employ an A/B test. An A/B test helps you figure out the best email marketing strategy for your business. Basically, you send emails to two groups, the A group and the B group. There will be a minor difference between the two emails, such as a subject line or the CTA. 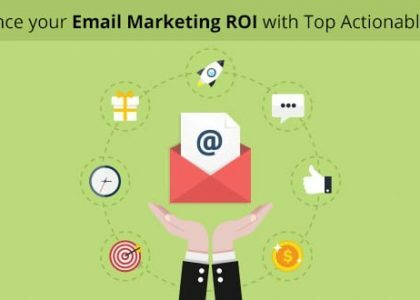 You see which email performs better, and you use that one going forward. Kissmetrics is a huge fan of A/B testing. They say it’s a marketing investment with a great ROI. A/B testing is one of the best marketing investments you can make. However, you’re at cross-purposes with yourself if you have a dirty list. You can’t properly A/B test when your list is dirty. Why didn’t they open? Is it because your subject line was unappealing? Or is because you mailed an inactive account? Some people who have dirty email lists feel this isn’t a problem. Here’s the thought process: my inactive users are spread evenly throughout my list. Therefore, I can still A/B test with a reasonable degree of accuracy. Improving conversion up to 355%! That’s an amazing increase. It’s also why marketers use A/B testing to send even better emails to those segmented groups. However, the danger of a dirty list is magnified here, at this moment. Think about list segments. Here are some ways lists are segmented: industry, website behavior, location, change in engagement, lead magnet type. People in the same segment have more in common than you might think. For instance, they may have downloaded the same lead magnet, a lead magnet you heavily promoted three years ago. As a result, this segment is more decayed than your general list. The active people on this segment may be high-value customers. Still, it will be hard to A/B test this subset and hone your message if the list is filled with spam traps, complainers, and inactive accounts. Scrub those people from your list. Then you can truly A/B test with solid confidence. Or Cake. Or Whatever Sweet You Like. This reason requires little explanation. You can clean thousands of emails for just a few dollars. Also, with many list cleaners, all you have to do is upload your list and wait. It’s cheap and easy. There’s no reason to keep a dirty list. If you have a micro list, probably 25-100 or less, you can check it one by one for free using this service. However, if you have a larger list, it’s better to pay a small fee. You get improved accuracy and you save time. So Do You Really Need to Clean Your List? Your spam complaints, undelivered messages, and unsubscribes are watched closely by the ISPs. If you go over a certain threshold, you’ll be penalized. Your ESP, whether you use Mailchimp, Aweber, or something else generally isn’t a list cleaner. They’ll let you send to bad addresses, but you’ll be punished for it. That’s why you need a proven cleaner. Email List Verify lets you verify 1000 emails for only $4, and it gets cheaper from there. Not to mention, they use advanced techniques like email deduplication, spam-trap removal, risk validator, and other cleaning techniques that put them ahead of the competition. Whatever email cleaner you choose, clean your list before your next campaign for improved results.